Flying drones in India is finally going to be legal starting December 1, 2018. Until now, flying drones in the country, until and unless specifically sanctioned by the government, was illegal. The Directorate General of Civil Aviation’s new Drone Regulations 1.0 layout the framework for how unmanned aircraft will be allowed to operate within the country. 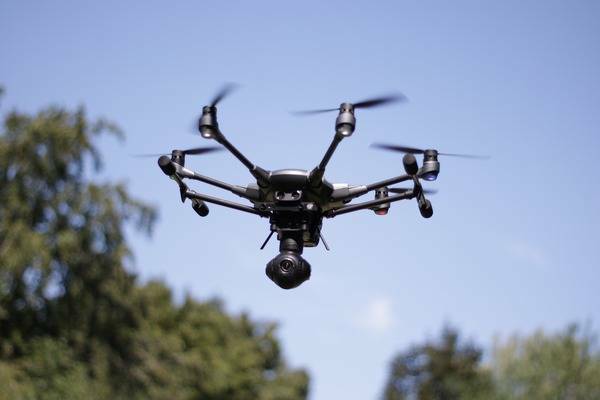 The drone policy has been made keeping in mind several parameters such as the height at which a drone can travel, the area in which it can be used, registration of the drone and more. Owners and pilots of the drone need to be registered with the ministry and permission for flying a drone needs to be applied via an app. Digital permits will be given as soon as the automated process is completed. As per the ministry, during daytime, a drone can be flown up to a height of 400 meters. There will be special ‘No Drone Areas’ such as airports, near international borders and especially in some areas of vital military installations and such. The ministry said that the strict rules are necessary to prevent the use of drones for more nefarious purposes. The regulations list various categories of drones and all of these except the “nano” type weighing less than 250 gm and those owned by the government and intelligence agencies are to be registered and issued with a Unique Identification Number (UIN). The FAQs released by the Ministry specify that delivery of items using drones is “not allowed as of now. The ministry believes that drones are a technology platform that has wide-ranging applications and benefits.”Drones range in size from very small and those that can carry multiple kilograms of payload. It was necessary to develop global standard drone regulations that would permit, with appropriate safeguards, the commercial application of various drone technologies.” said a senior ministry official in a statement. The ministry has stressed on an all-digital process for registering and operating drones. It is called as the Digital Sky Platform and is reportedly “first-of-its-kind national unmanned traffic management (UTM) platform that implements ‘no permission, no takeoff’ (NPNT).” This UTM will be in close contact with the defense and civilian air traffic controllers (ATCs) so that the drones remain on the correct course. The rules announced are the first in a series of several rules and regulations and such are titled Regulations 1.0. Minister of State for Civil Aviation Jayant Sinha has said that a Drone Task Force, chaired by him, is working on policy regulations for the future which will allow for flying automated drones that operate beyond the line of sight. Drones have always been considered a great marketing tool for the tourism industry, which is usually one of the quickest to adopt new technologies. With this new draft policy, the ability of travel and tourism companies to produce innovative and affordable aerial videos and photographs will become much more enhanced and hassle-free. Thanks to drones, hospitality and travel marketers will now be able to legally provide their target audience with innovative video content, showing a unique view of a resort, a tourist attraction or a destination.